New research is giving insight into neurological disease. Scientists are showing us the mechanisms for protecting the cells in our brain and nervous system ( neural cells) from damage and from death. This is enabling a new understanding of how the body’s protective mechanisms work, to slow down and halt untimely neuro-degeneration! 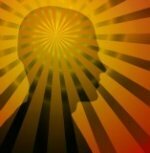 Scientists are showing us better protection through nutrition, brain health supplements and with new neuro protective supplements. These discoveries are enabling people to slow down and even reverse frightening diseases such as ALS, Lou Gehrigs disease, Alzheimers Disease and Parkinsons Disease. Yes, there are people with these serious diseases who are now successfully stopping their symptoms and improving their lives! Help for Parkinsons, Huntingtons, Multiple Sclerosis, MS, Alzheimers, Lou Ghehrigs, ALS? What is the scientific explanation of how neurological disease occurs? Increasing evidence shows that damage to the mitochondria of nerve cells plays a key role in neurodegenerative diseases, including ALS, Lou Gherigs, Parkinsons and Alzheimers disease. Mitochondria are small "organelles" in our cells that give us energy. Mitochondria convert nutrients into energy as well as doing many other specialized tasks. Essentially, they are the cells' "power plants." Damage to the mitochondria, in turn, increases the generation of “reactive oxygen species” and the onset of oxidative stress, leading to oxidative damage and programmed cell death. At the same time, the balance of in the cells is disturbed. The body's own protective molecule is glutathione, GSH. During stress, illness, exposure to toxins or aging, our supply of this molecule becomes DEPLETED. Glutathione is an important protector of energy metabolism (mitochondrian function) during periods of oxidative stress. When our supply is DEPLETED, we become tired and lack protection against damage to our cells and nerve cells. In one study, glutathione levels were REDUCED by 40% in the substantia nigra in early stage Parkinson’s disease. These levels fall even much further in later stages, the magnitude of reduction in glutathione seeming to parallel the severity of the disease! Thus, the lowered glutathione values and increased oxidative stress are thought to be responsible, for instance, for the loss of dopamine producing cells in the substantia nigra in Parkinson’s disease patients. The problem is that glutathione is rapidly depleted on a daily basis through normal metabolism, illness, stress and even exercise, especially as we get older. Since "oxidative stress" is counteracted by antioxidants, past research focused on the role of antioxidants, especially vitamin E, in lessening the symptoms of neurological diseases such as ALS, Alzheimers and Parkinsons. Studies do indeed show that the onset of symptoms can be delayed. The interaction of antioxidants is complex, and it now turns out that they are DEPENDENT on the PRESENCE of this KEY molecule called glutathione to function properly! Over 80,000 medical publications have linked most chronic diseases to a DEFICIENCY of this protective molecule. Although medical researchers have used the drug NAC stimulate the production of glutathione, NAC should NOT BE USED FOR MORE THAN TWO WEEKS IN A ROW as a supplement for healing. Fortunately, scientists have unlocked "nature's secret" for replenishing glutathione to heal from diseases! Why Can't We Just Take a Pill? When you take glutathione in pill form it gets digested and does NOT get used by the cells. Scientists found that our nerve cells MUST MAKE THEIR OWN SUPPLY of glutathione. Fortunately, a medical discovery that was a "back to nature call" discovered the pre-cursors that BEST stimulates the body's production of glutathione -- for better protection wherever the body MOST NEEDS IT! Progressive Multiple Sclerosis, Alzheimers,a Brain tumor, Epilepsy, Parkinsons Disease, Tourette syndrome, Guillain Barré syndrome, Lyme disease, Myasthenia gravis, Shingles and Post-Polio syndrome by using nerve and brain health supplements. 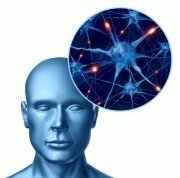 The science of how best to improve glutathione in the brain and nerve cells. What's a Common Denominator for Neurological Disease? Parkinson's Disease PD, Multiple Sclerosis, MS, Alzheimer’s Disease AD, Tardive Dyskinesia, TD, Lou Gehrig's, ALS, Huntington’s disease and the cell death resulting from a stroke. Oxidation is part of breathing and creating energy for life. Its by-products, "free radicals," are natural, just like any fire produces smoke. "Oxidative stress" occurs when we produce more free radicals than we can "mop up" before they cause damage to tissues. Free radicals are reported by medical researchers to cause damage to the central nervous system, with numerous studies linking this type of damage to degenerative brain conditions and diseases of the central nervous system. Today, few experts disagree that “free-radical propagation” and the associated “antioxidant depletion” are involved in at least some types of degenerative tissue breakdown. Parkinson's, Multiple Sclerosis, MS, Alzheimer's, ALS, Tardive Dyskinesia, TD, Huntington’s, and the cell damage caused by a stroke. Best Hope for Slowing Neurological Disease? Yes, your neurologist will help you manage your neurological disease -- or simply tell you to go home and rest. You, however, need to add healing agents and NUTRITION for your body to counteract stress for recovery! New nerve and brain health supplements are powerful against "oxidative stress." When glutatione-building proteins were fed to lab animals, they lived 30 to 50% longer! These discoveries can be used to increase glutathione in the brain and nerve cells to halt the progression of their neurological disease and STOP MANY OF THEIR SYMPTOMS! Progressive Multiple Sclerosis, Alzheimers disease, Epilepsy, Parkinsons Disease, Tourette syndrome, Guillain Barré syndrome, Lyme disease, Myasthenia gravis, Shingles and Post-Polio syndrome, and Lou Gehrigs disease. We hope that our research posts have inspired you to try nutrition, nerve and brain health supplements to improve a neurological disease. Science has come a long way in showing us the best brain health supplements and glutathione supplements for best protection and help. You can improve your quality of life regardless of your diagnosis, and remain independent as long as possible.